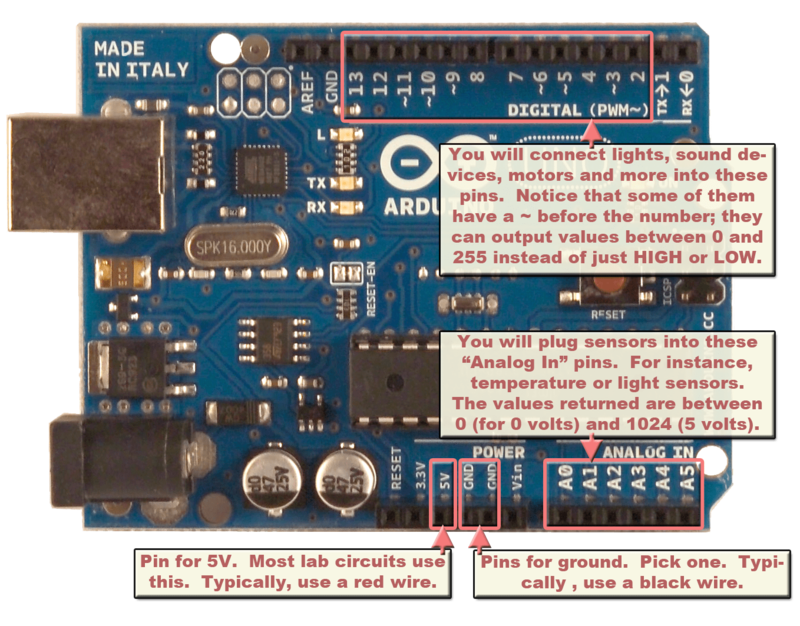 Arduino and other microcontrollers allow the designer to create projects with embedded, tangible interaction: Integrating physical objects, spaces and the whole body with the digital and virtual. Tangible interaction also enables a social element to be a part of the design, where multiple people simultaneously engage with each other simultaneously with the interactive objects, spaces, and media. Tiny computer that talks to the real world via sensors and actuators – we’ll go over the full range of things you can attach to a microcontroller next week.